What happens when you listen in the silence? Listening in the silence is an art. When you first begin all you hear are your own thoughts. They become so loud that most people simply want to block them out. Those who meditate and use relaxation techniques learn to quiet their thoughts and hear other things as well. Using such techniques you begin to notice background sounds you never heard before such as a car outside, the hum of appliances, a neighbors dog, etc. Within the silence there are many different frequencies that one can learn to attune to with practice. It is like changing the channel on a television or radio. The channels within the silence allow you to attune to the frequencies of animals, rivers, trees, wind, mother earth and so on. Fixating on the silence is at first distressing because you may not be comfortable with your own thoughts. In the beginning you also realize you are attuned to the thoughts and energies of others around you. They also being uncomfortable with their thoughts add to the discomfort. It is best to go and be with nature when learning to attune to the silence or to create a sacred space for yourself in your home where all outside distractions are kept at away. 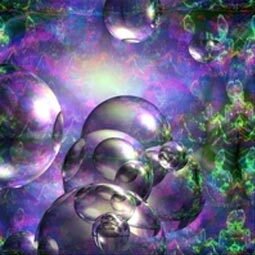 There are so many frequencies going on around us in the third dimension of survival and so many are currently in chaos that without the help of a sacred space one can become bombarded by the negative chaotic frequencies surrounding them. Without even knowing it, all people are subject to these frequencies daily, making them their own. The silence of the Divine is where you want to learn to place your energy. This is where the channels of communication allow you to commune with your own soul and spirit self. In order to accomplish this you must first learn to quiet your own mind and observe you own thoughts. When you are observing, you are being objective rather than subjective. When you observe your thoughts and motives in life you discover who you truly are and who you truly want to be. Observation allows you to detach from the emotion that causes you to continually stay stuck in a certain mode. If you can see why you feel and think the way you do, you can begin to change that thinking and feeling. Creating a sacred space to work within helps you to produce the desired energy needed to be able to observe your thoughts and feelings. 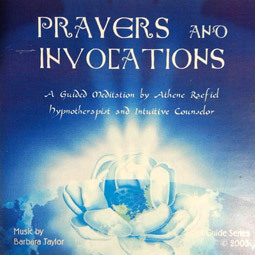 You can use prayers and invocations to do so. When wishing to commune within the Divine energy of Spirit it is necessary to produce a space that is inviting to spirit. Divine Light Spirits do not dwell within chaos; they dwell within balance, harmony, and love. Although your soul is the intermediary for them to assist and commune with you, most soul energy upon our planet is currently in chaos. This includes, but is not limited to, even that of nature herself. When I go into the city and listen to the silence around me it is very uncomfortable. There is a great distortion of people’s energies and thoughts that I must protect myself from if I am stay balanced and in harmony with my divine self. When I visit nature and listen to the streams and the winds I hear nature tell me of her pain and sadness and the chaos that she herself is experiencing now as a destructive force in her process of renewal. The energies and silence surrounding the Earth at this time are distorted; this distortion is felt and perceived by all as their reality. It is medically being discovered that the greatest problem all humans have now is depression and anxiety. I believe the animals and plant life are showing these same symptoms of depression as well. The cycle of nature has been offset by the abuses humans have inflicted upon her. We are seeing the severity of this in our Oceans and lands at this time. We can all feel the tension in the air every day of life. We feel that tension in the silence. Life feels like a hostile environment around us, even the children seem angry all of the time. This anger and depression is like a plague that attacks every living thing. It has become the silence of the third dimensional reality world. It produces feelings and thoughts of morbidity, frustration, anxiety and hopelessness. It has displaced most of the energy of peace, harmony and balance. In order to restore that energy, we as lightworkers must connect of the Divine silence that allows us to re-anchor the energy of love harmony and balance on a large scale. My friends, this is called restoring heaven on earth. This we do through the correct form of using the silence of our divine selves. We are channels of this Divine Light and we are the salvation of our beautiful planet. Do not be afraid to explore the many frequencies of silence you attune to. When you do not like the frequency you are on simply learn to change it. Quit distracting yourself through outside mediums such as television and radio. Realize that entertainment serves a place in your life when you need it and do not allow it to sublimate the whole of your time. Become happy and at peace with yourself and you will find your intuition guiding you in directions you never thought available before. Heighten your inner senses by using them more often and learn to expand your consciousness to the greatest depth and height imaginable. Be creative and allow spontaneity to return to your life. Always work for greatest good of all life and synchronize your rhythm to that of your divine self. Remember what it feels like when others are impatient around you and learn to be patient with yourself, others and life. I call to the most Holy Energies of Divine Light and surround myself now. I call to my Divine Soul and Spirit Self. I call to my Spirit Helpers and Guardians. I call to the Sacred Holy Flames of Light and Love. The Violet Transmuting Flame of St. Germaine. The Transcension Flame of Lord Uriel. I call to the Twelve Power Points of Light that connect to the Twelve Power Points of Earth. The Directions of North, East, South and West. I call to the Sacred Geometries of Light that I am and all Sacred Universal Geometries. Heavenly Father, Divine Mother I call you forth and ask that you anchor your light in and around me. I ask now by the power of light that I am to be aligned to my divine light and awareness this day and always. I call forth my chakra centers of light within and ask that they be connected and aligned to the now Cosmic Awareness Chakra Centers of Light and that my Body, Mind and Soul be re-aligned to my Higher Divine Purpose in life. I am, I am, I am, a power of love and light. I am, I am, I am, special in my own right. I am, I am, I am, a golden child of Light. 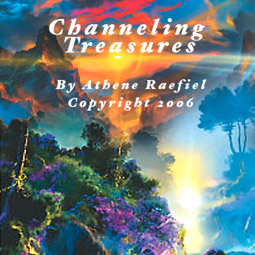 Athene Raefiel is a teacher of Mysticism and Enlightenment. 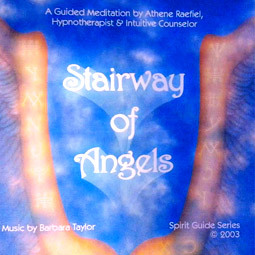 She has been helping others to find and connect with their Higher Self and Spirit Guides since 1985. 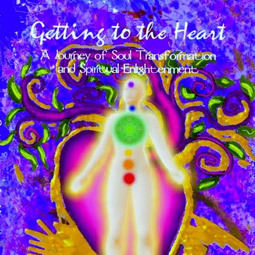 She has published a Self -Help book called “Getting to the Heart, A Journey of Soul Transformation and Spiritual Enlightenment” that can be ordered through her website or any bookstore. 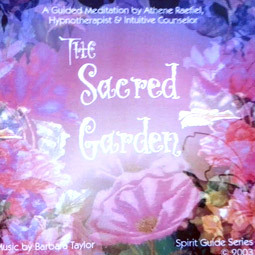 She also has several Meditational CD’s For Sale.